Want to take action and help close Ontario’s gender pay gap? 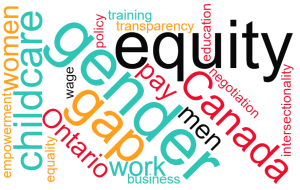 Search the tools and resources on this page to build your pay equity strategy. Add your name to our mailing list to be informed about upcoming actions and events. Shareables are images, text, or video that are easily shared digitally, online, or through social media. We encourage you to use these as you wish. Check back often for new items. To use these images, click to get full-sized file, then right-click to save to your local machine. Share using the arrow in the top right corner of each video. Opinion pieces and letters to the editor placed in local and national outlets are extremely effective in raising the profile of this issue. Consider submitting a piece. To help you get started, you can download and edit these Word documents. 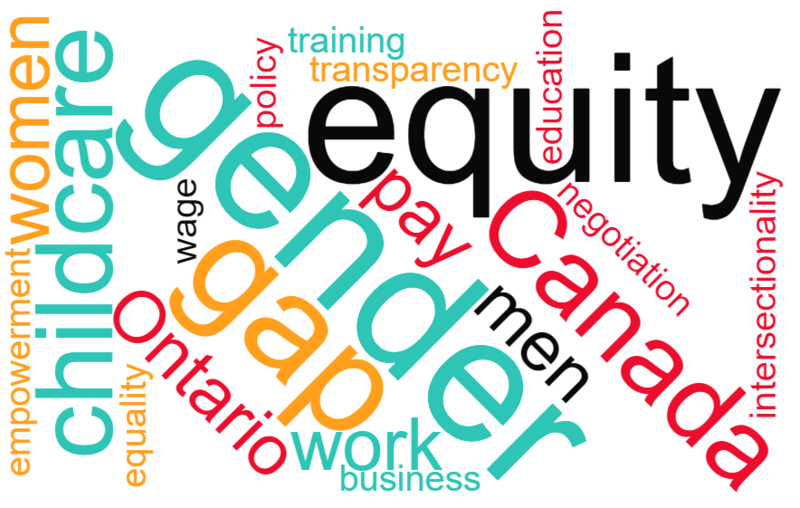 Hosting your own event is another effective way of raising awareness about Ontario’s gender pay gap. Be creative: In the past, people have had bake sales with gender-specific pricing ($31.5% discount for women! ), organized demonstrations outside government offices, used a flash mob to get the public’s attention, and provided informational booths on campus. 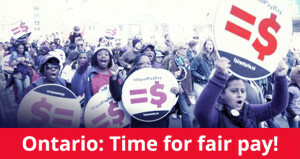 Contact your Member of Provincial Parliament and tell them you want to see substantive action taken on this issue. Download and print off the 12 Steps to Close the Gender Pay Gap by 2025 document. Download and print off the Call to Action information flyer.